Middle Creek Roofing is an Amish, BBB accredited and award winning contractor that excels in all types of roofing services, including roof replacement, roof repair, metal roofing, slate roofing and cedar shake roofing among others. When you hire a roofing company to work on your home, you don't just want a contractor that's qualified to do the job. You also want a company that offers quality products and service. Here at Middle Creek Roofing, we work with you to choose the best solution for your home. If you need a roof replacement, we'll help you select the best roofing system for your home, style, and budget. 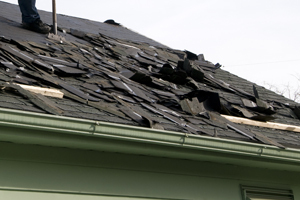 Whether it's asphalt shingle, slate, cedar or metal roof installation, our roof installation services include product warranties that last up to 50 years. Get a FREE estimate today on a roof replacement or roof repair by clicking the FREE estimate button. Shingle roofing: Asphalt shingle is the most common roof replacement material for its low cost and durability. Traditional three-tab shingles offer value, performance and a natural look while architectural shingles offer a multidimensional effect. We can also install metal shingles or shingles for flat roofs. Metal roofing: Metal shingles offer the traditional looks of slate, tile and wood roofs in a durable roofing system that's built to last. Corrugated and standing seam are common types of metal roofs. Standing seam metal roofing is a popular choice among homeowners. No matter what style metal roof you choose, you can expect a system that offers long-lasting performance. Slate roofing: Just because a roof is old doesn't mean it needs to be replaced. Slate roofs are known for their longevity and can last hundreds of years. Roofing slate is quarried here in Pennsylvania and is still a popular choice for roof installations. Middle Creek Roofing has roofing professionals who are knowledgeable in working with this highly-specialized roof material and will take precautions to preserve and protect your slate roof. Cedar shake roofing: Cedar roofs not only offer natural beauty, but cedar typically lasts at least 10 years longer than other common roofing materials like asphalt shingles. A major advantage of cedar wood shakes and shingles is their resistance to strong winds and durability in heavy rain, hail, and snow. Replacing your roof can save you money spent on endless repairs and can add beauty and value to your home. If you live in Lancaster, Newmanstown, the Main Line, Chester Springs, Wayne, York, Haverford, Delco, Berks County or any other area in Greater Montgomery County, Chester County & Nearby, call us today to schedule a free on-site inspection and detailed estimate.